Stephen Hawking was one of the most extraordinary scientists of our time. His first achievement was to prove that all the matter in the universe – matter in the oceans and the sun, and in our very bodies – once existed in a state of literally infinite compression: the Big Bang. He then moved on to black holes and discovered that “black holes are white hot,” and ultimately evaporates into nothingness. And he took part in the famous “black hole war” in which scientists debated the ultimate fate of information that falls into a hole. Most remarkably, Hawking achieved all this in spite of being physically incapacitated. While other scientists performed their laborious calculations on reams of paper, Hawking did his in his head. In the midst of this, Hawking had a rich personal life. His “Brief History of Time” achieved worldwide fame. He was the father of three children. 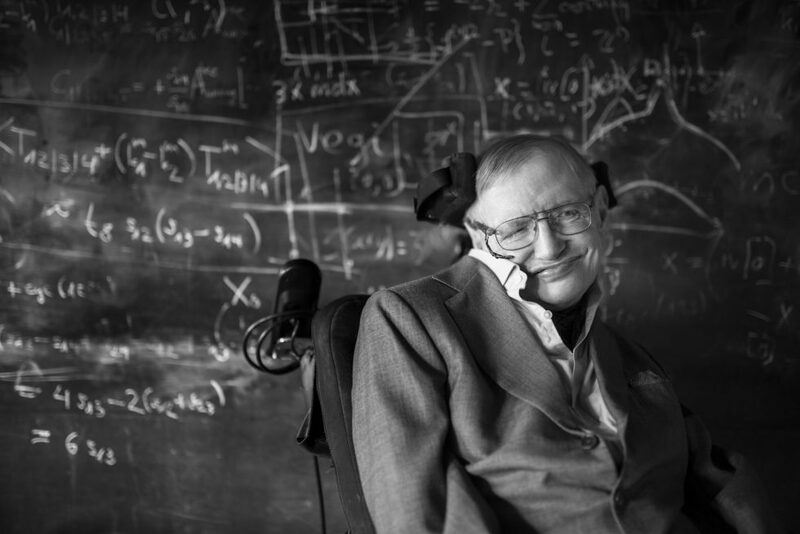 Hawking was a tireless advocate for the rights of the disabled. The audience is invited to bring a lunch to enjoy during the program. Tickets available first-come, first-serve on the day of the lecture at the Welcome Center. The audience is invited to bring a lunch to enjoy during the program. Free coffee available. Cookies provided courtesy of Big Y.